Junckers Solid Oak Floors – Contemporary Addition to Worcester College, Oxford .. 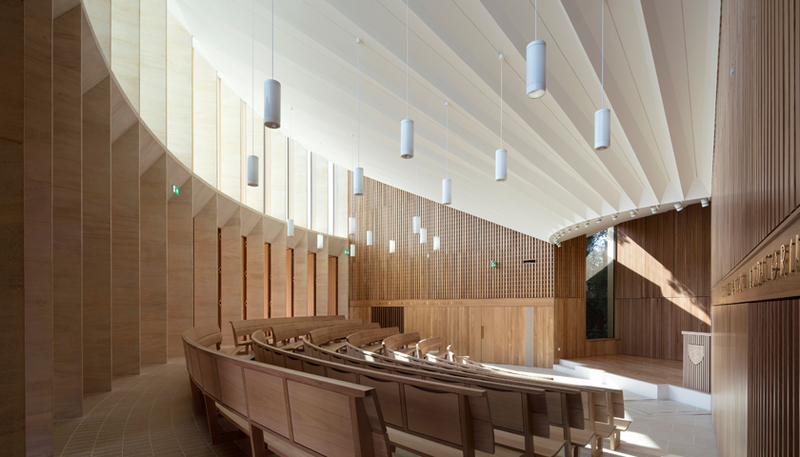 The Sultan of Nazrin Shah Centre by Níall McLaughlin Architects is a graceful addition to the listed parkland at Worcester College, Oxford. The award-winning contemporary building houses new conference and events facilities. With a high-end finish throughout, the building houses a large lecture theatre, student learning space and seminar rooms, as well as a dance studio fitted with Junckers Oak Boulevard flooring. With a plank width of 185mm, Oak Boulevard is Junckers’ widest dimension board, an elegant and durable option for a public building. To find out more about Solid Oak Floors by Junckers, please click here.